Rapid rated tournaments with money prizes every Saturday starting in Brooklyn next month ! 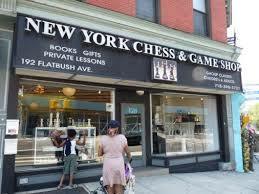 « Chess classes in Brooklyn. Home » Uncategorized » Rapid rated tournaments with money prizes every Saturday starting in Brooklyn next month ! By chessclassesinbrooklyn in Uncategorized on March 20, 2015 .